How are you? I missed you so much. 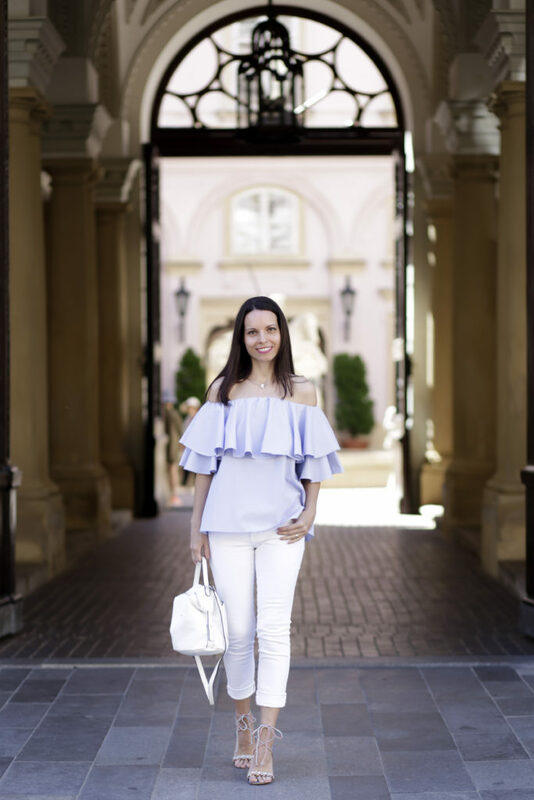 I can finally share my new look with you today :) I am wearing blue off the shoulder blouse (from last season), white jeans and blue sandals. I completed the whole look with white bag and silver necklace. From all the pieces I like the top the most. It’s trendy and very comfy clothing item. 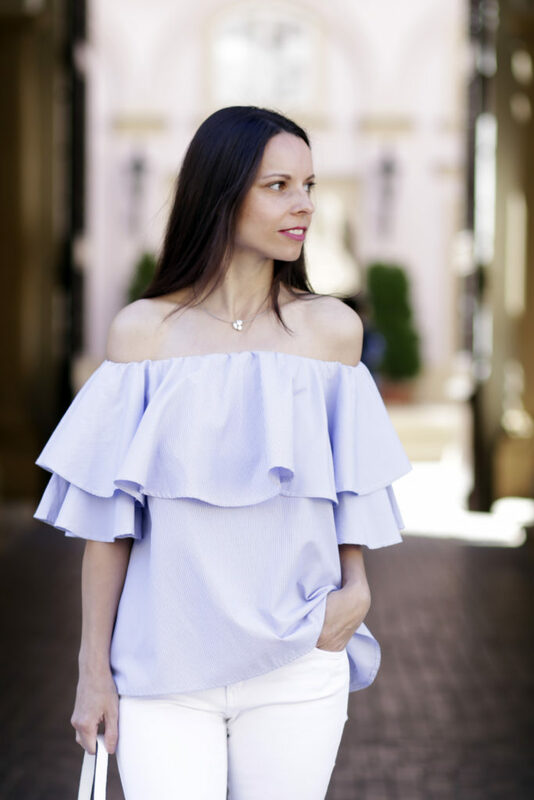 Do you like off the shoulder pieces? How many similar items do you have in your wardrobe? 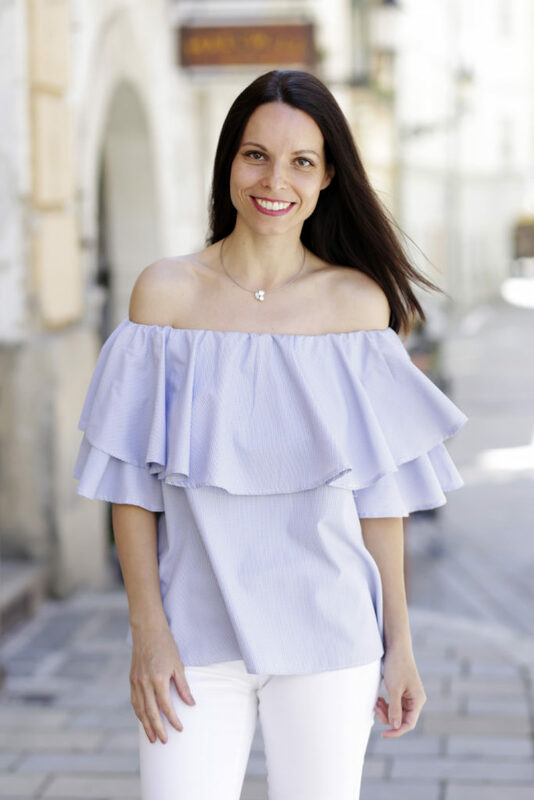 I was wearing this blouse last season and you can see my look here. Which one do you like more? © 2016 - Tina Chic. All Rights Reserved.